There has been a a water main break at 907 Maple Hill Road; DPW is working on it. 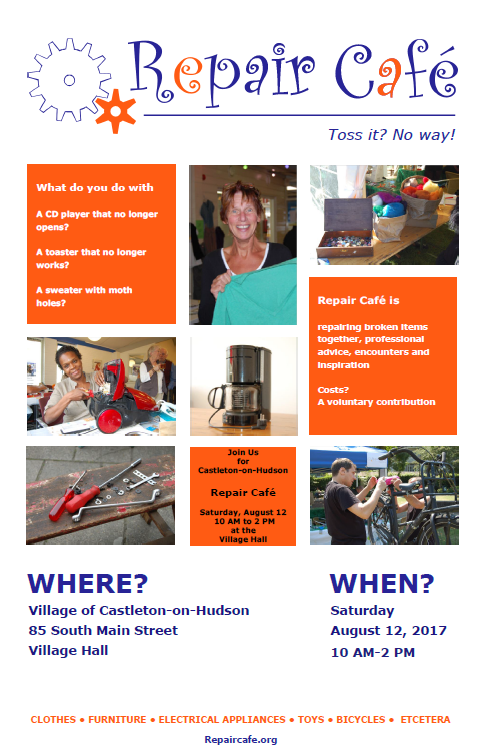 Coming next week to front porches in the Village. Here's the digital edition of the latest Castletonian! 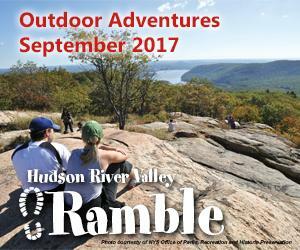 The September 1 and 15 markets will be part of the Hudson River Valley Ramble, and the September 1 COHFAM has been chosen by the Greenway as one of the Ramble events to be documented by a professional photographer -- with a drone! Let's all hope for good weather that day. COHFAM is held the first and third Friday of the month from June-September, 4:30-7:30 PM, at the corner of Scott Avenue & Main Street. 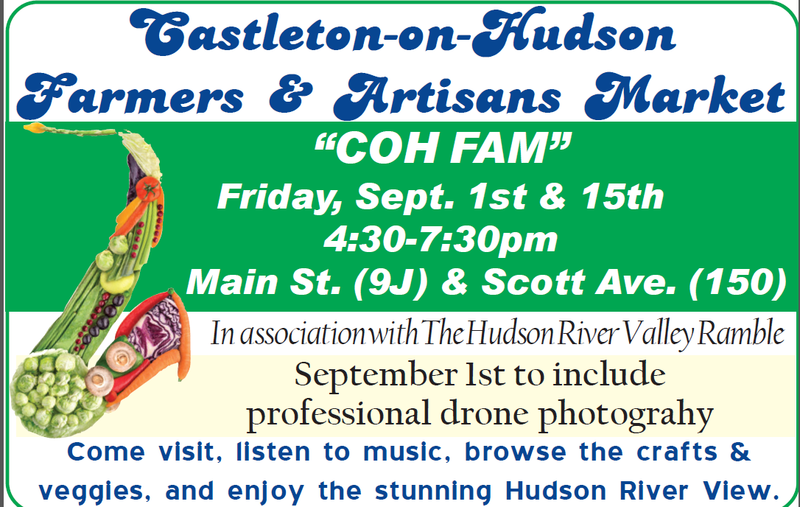 Come visit, listen to music, browse the crafts and veggies, and enjoy the stunning Hudson River view! 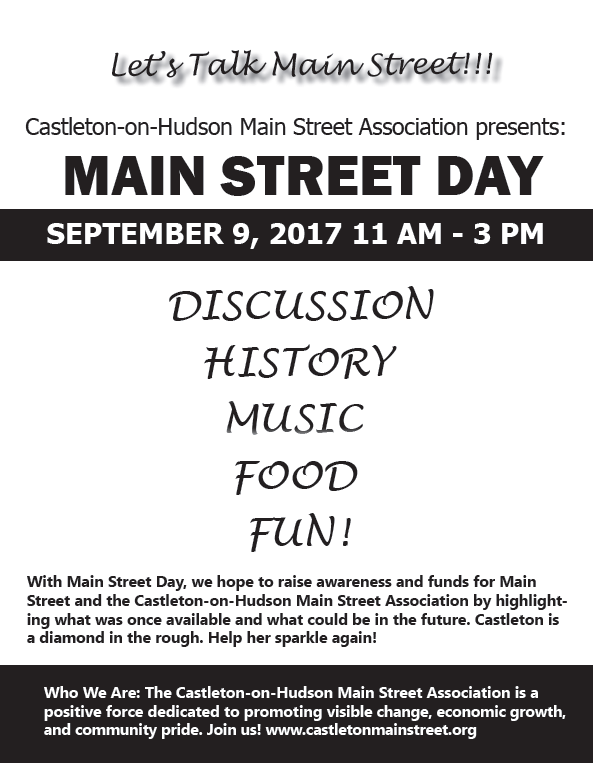 Castleton-on-Hudson Farmers & Artisans Market is this Friday, July 21, from 4:30-7:30 PM at the corner of Main Street & Scott Avenue. It's always a fun time with vendors, veggies, food, music & more. You can sign the "Open the Gate" petition and get a button. 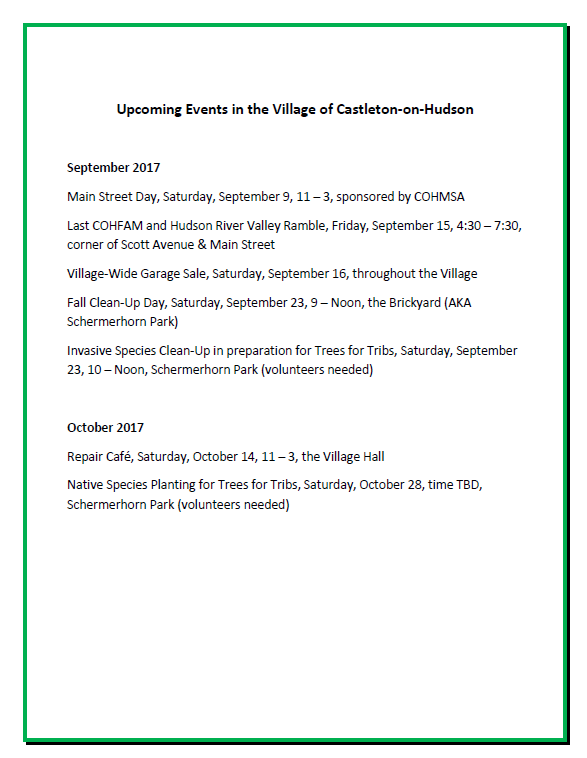 A representative of the Rensselaer Land Trust will have a booth with information about the Estuary's Hudson River access study.